This Epicurious recipe is a great way to use the vegetables you can find at the Farmer’s Market even after a week of below freezing temps. Thanks to LF for bringing this over for brunch and then leaving the leftovers so I could have it for dinner, too. It went well with a vegetable frittata and sourdough bread. Although this recipe calls for Tuscan, you can use any kale that is available. 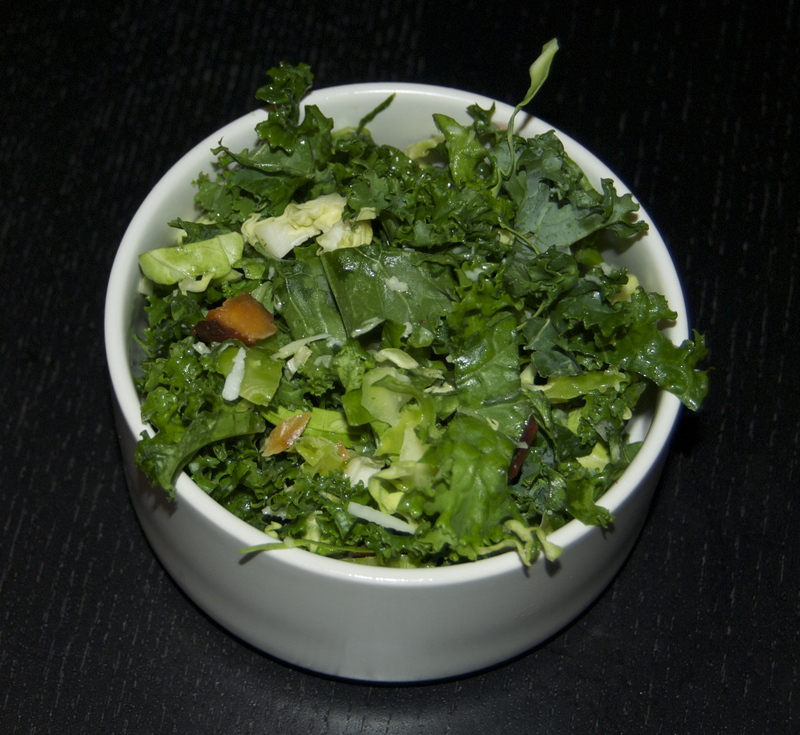 It’s a good dish for skeptics because it has both kale and Brussels! Stay tuned for another kale salad post this week. Also, thanks for the great yoga on Friday… It’s the best way to start the weekend! Love this recipe – looking forward to warming up a frigid Indiana day with this. Thanks! !